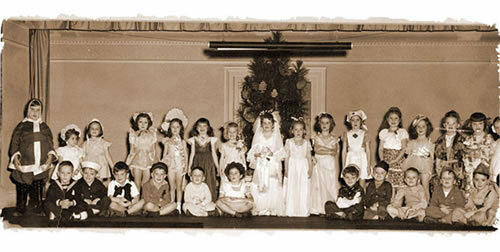 The Anthony School is the oldest non-sectarian independent school in Arkansas and was the first to emphasize the significance of early childhood education. It is governed by a board of trustees and accredited by the Arkansas Non-Public School Accreditation Association. Anthony was founded in 1944 by Jeanne and Allen Anthony as a proprietary family business. It began as one kindergarten class in a public school classroom. Over a period of time, pre-kindergarten, elementary, and middle school classes were added at the request of parents who recognized the high quality education provided by the school. In November of 1967, the school was moved to the neighborhood campus on Ohio Street where it is still located. In 1991 the Anthony School began the transition to a non-profit 501(c)(3) corporation. Under the leadership of Tom Baxter, Elizabeth Campbell, Walter Hussman, Bill Marshall, Mark Saviers, and Frank Whitbeck, The Anthony School became fully non-profit in 1993 when the non-profit corporation purchased the building and grounds from the Anthony family, and Kay Patton became head of the school. 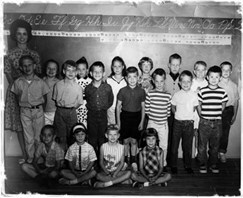 At that time, the Anthony Board of Trustees reaffirmed their commitment to educate students from early childhood through early adolescence individually, with respect for each student's unique abilities, talents, and potential. Recognizing the complexities of educating students for the 21st century, the trustees developed a ten-year plan to update and enlarge the physical plant. Ahead of their ambitious goals, 36,893 square feet were added and the original 19,473 square feet were completely renovated by September, 2000. The new middle school wing, seven classrooms, a computer/writing lab, a science lab, a gymnasium and a lobby, added to the west end of the original building, opened in 1995; a large library and two new kindergarten classrooms, added to the east, opened in 1997. In 1999 the old middle school buildings were removed, and twelve new classrooms for elementary grades were completed by May, 2000. During the summer of 2000 the original structure was renovated. The downstairs was restructured to accommodate pre-kindergarten classes, a new entry, and new offices. The second floor was rearranged as spacious classrooms for a large technology center, foreign languages, art, music, a meeting room, and a faculty work area. Throughout its history and the transitions necessary to ensure progress, The Anthony School has remained student-centered, focused on the goal of providing education in a loving, challenging environment where students become independent, excited learners.